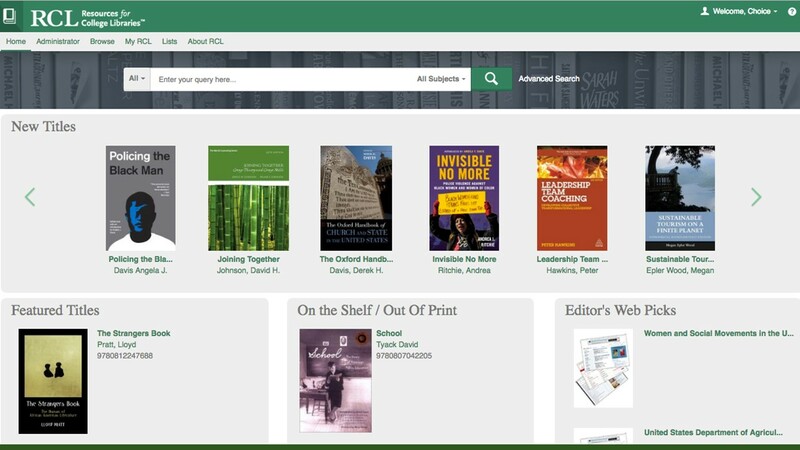 For Academic Complete subscribers, six popular Syndetics Unbound enrichment elements are available on the Ebook Central book detail page: "you may also like," author bios, reader reviews, awards, tags, and Resources For College Libraries, which denotes titles specially curated by ACRL/Choice subject specialists. 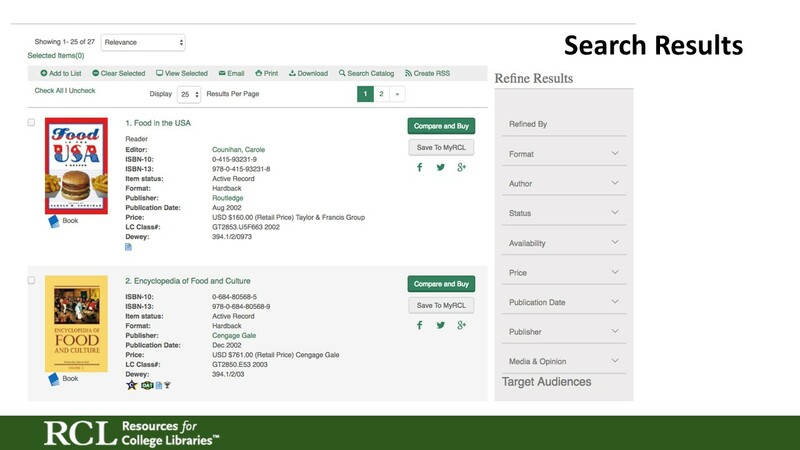 These enhancements connect researchers to relevant ebooks that they may not have otherwise discovered. 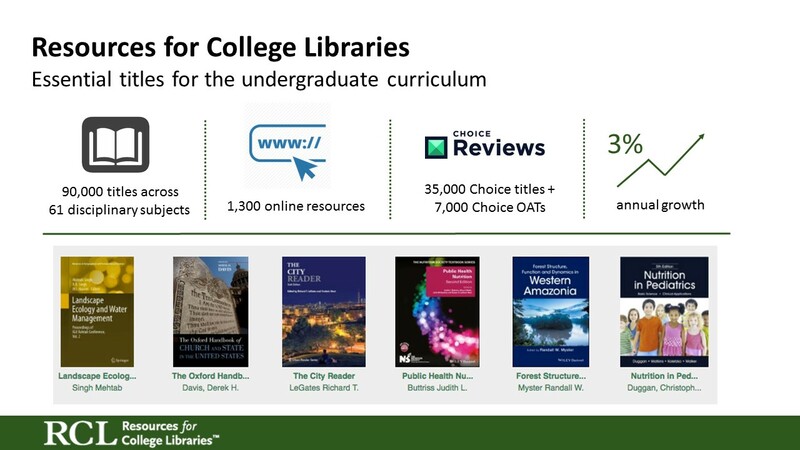 The Resources for College Libraries database is designed to connect high-quality titles to higher education institutions, all in an easy-to-use, responsive interface. 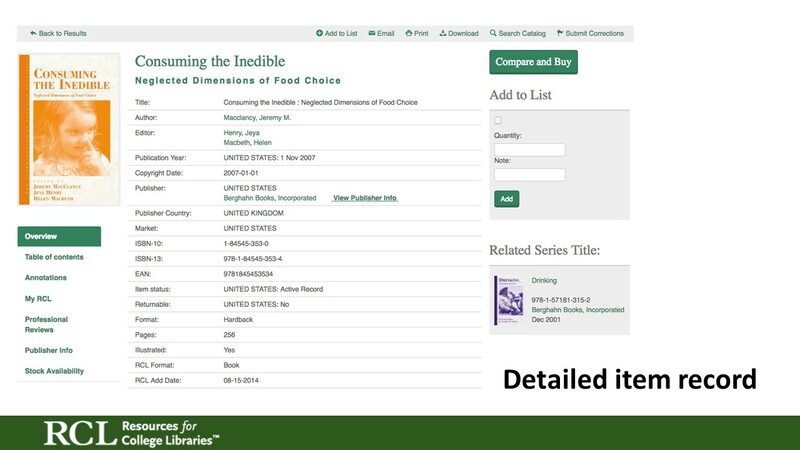 RCL’s experienced subject specialists select the most essential historical and contemporary titles for the undergraduate library collection and to support student research. 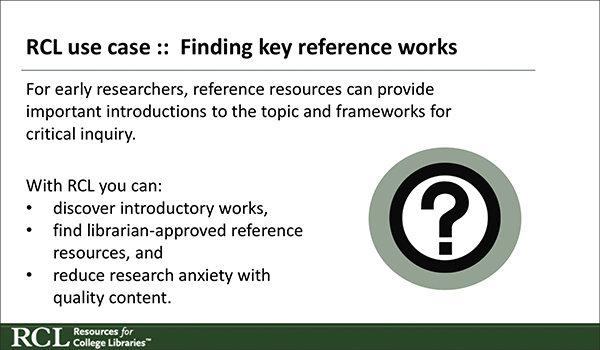 Because every RCL and RCL Career Resources subject undergoes peer review, you can feel confident that all titles have been vetted by academic librarians and teaching faculty. 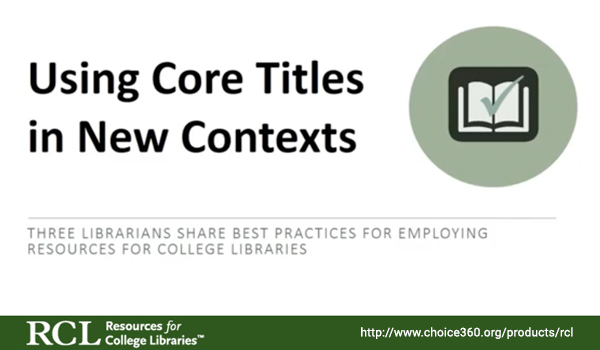 With over 500 contributors to date, consider them part of your core collections team. 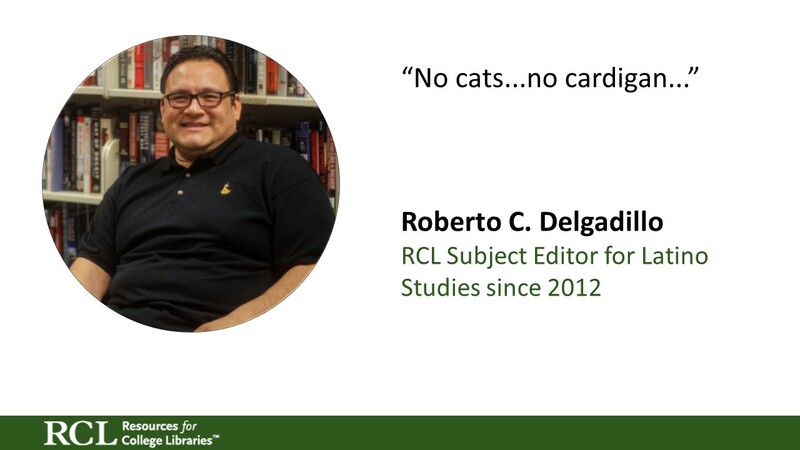 RCL subject editors are experienced selectors and current practitioners, selecting books based on what’s best for students, not for sales. 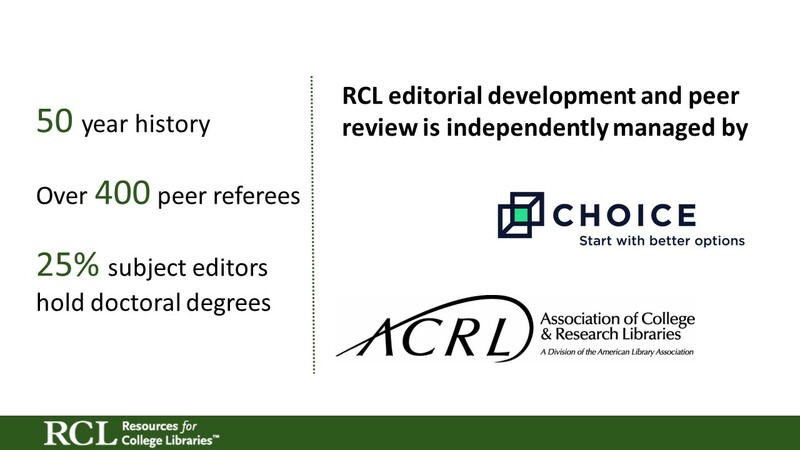 The editorial development of RCL is managed independently by CHOICE, a publishing unit of ACRL, a division of the American Library Association. 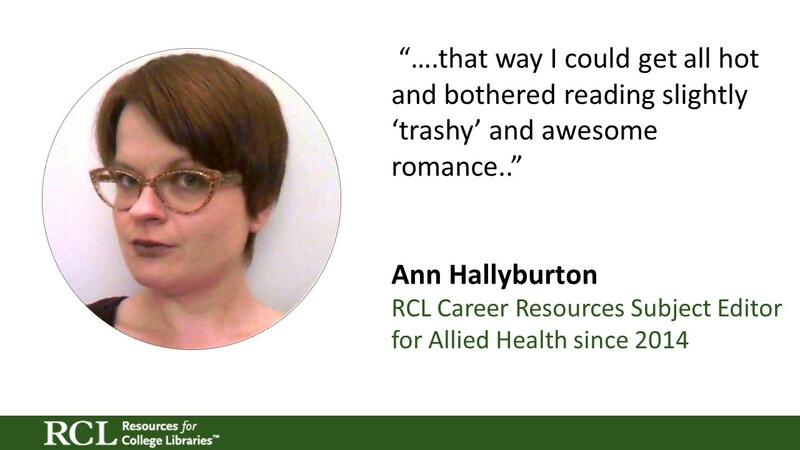 Download the subject editor rosters for RCL and RCL Career Resources. Download the RCL Referees and RCL Career Resources Referees. 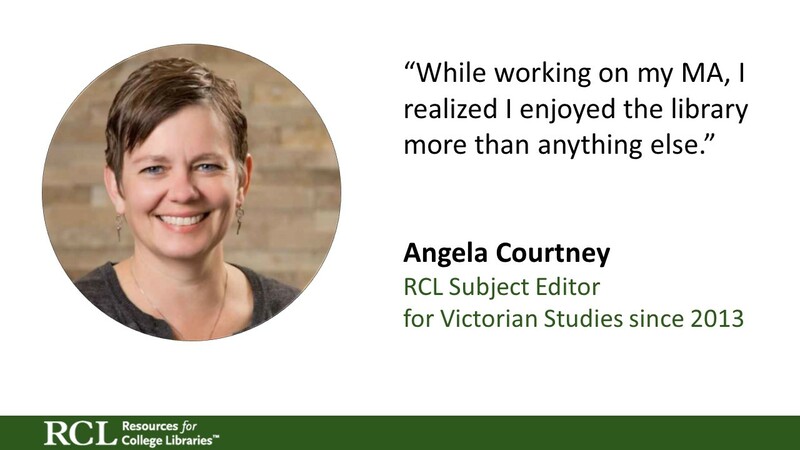 From supporting student success to ensuring diverse collections, RCL provides academic librarians with time-saving and trustworthy content. 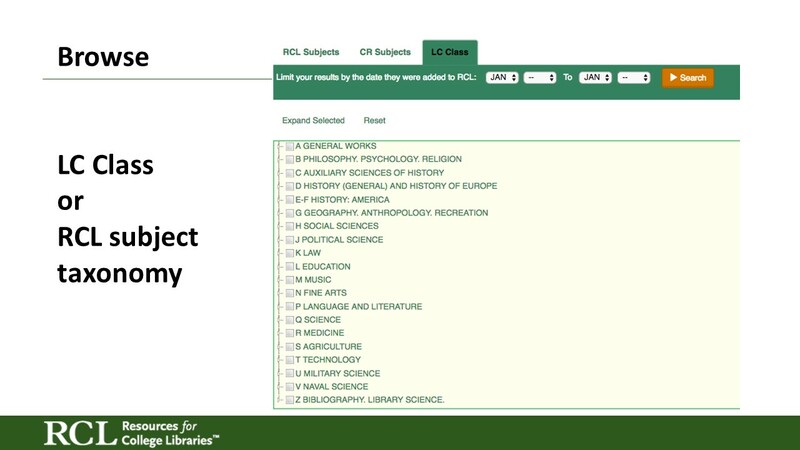 Whether you are undertaking a weeding project to make more study space, creating library guides for research support, or need assurance that you are selecting the best resources in the discipline, RCL helps simplify your workflow and build quality collections. 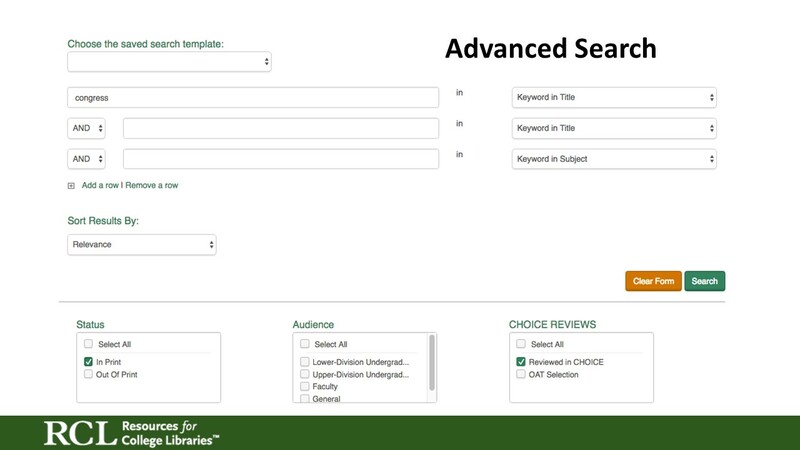 With RCL, students easily find quality-based resources for research assignments. 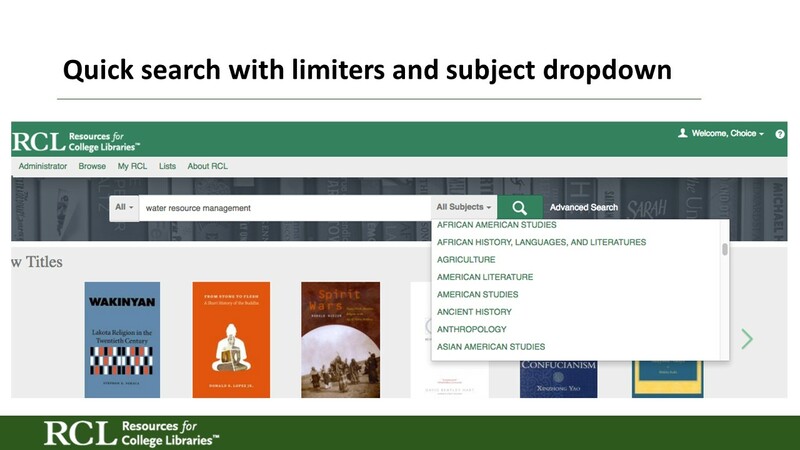 RCL’s curated collection is built for strategic exploration, helping connect learners to the subject literature and better understand the evolving contexts and constructs of scholarly inquiry. 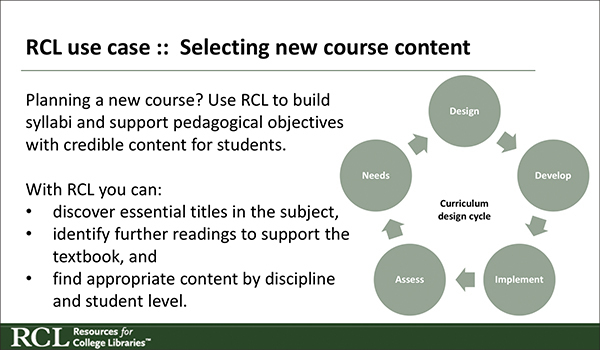 From identifying new course materials to conducting literature reviews, RCL ensures that teaching faculty have access to current and canonical titles. 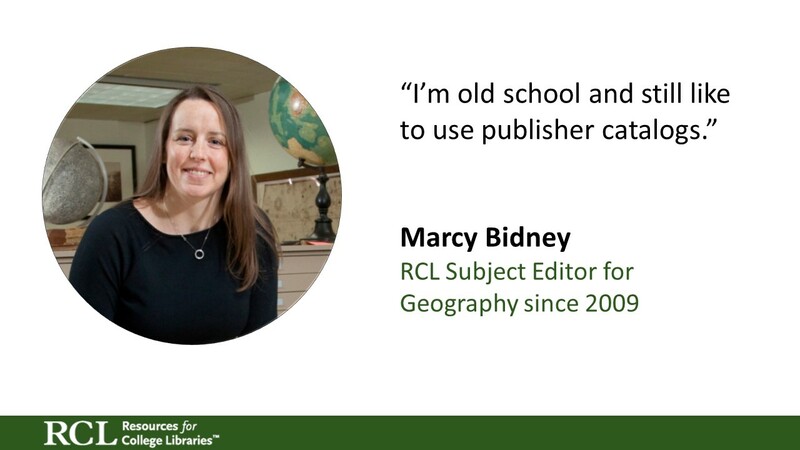 For engaged educators balancing teaching and scholarship, RCL serves as a time-saving discovery tool. 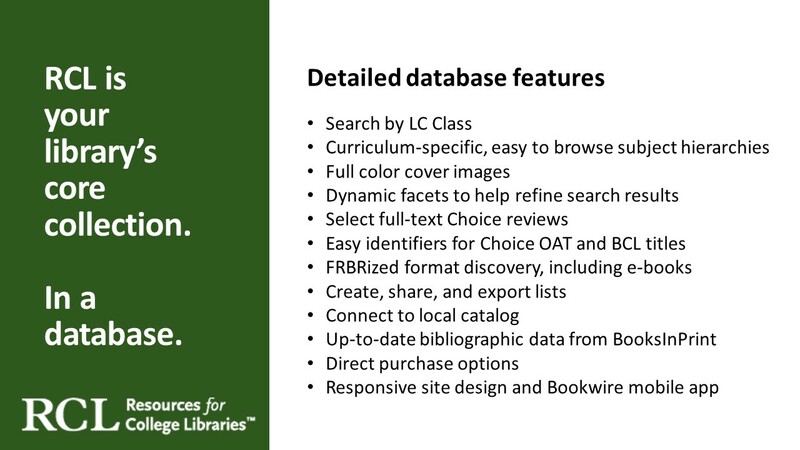 The RCL database is available in three subscription options, allowing you to select the content that suits your institution’s curriculum and collection development needs. From allied health to world history, RCL’s subject disciplines cover the primary programs of study across two- and four-year colleges and universities, supporting both the traditional liberal arts and technical college degree tracks. 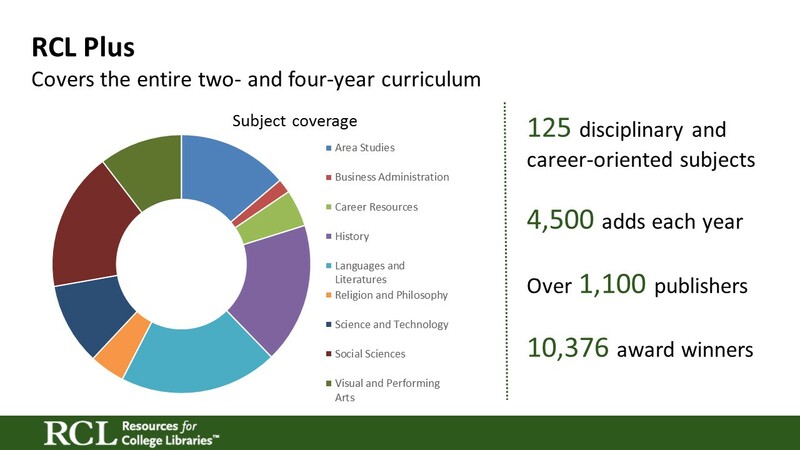 RCL covers the four-year liberal arts and sciences college curriculum. 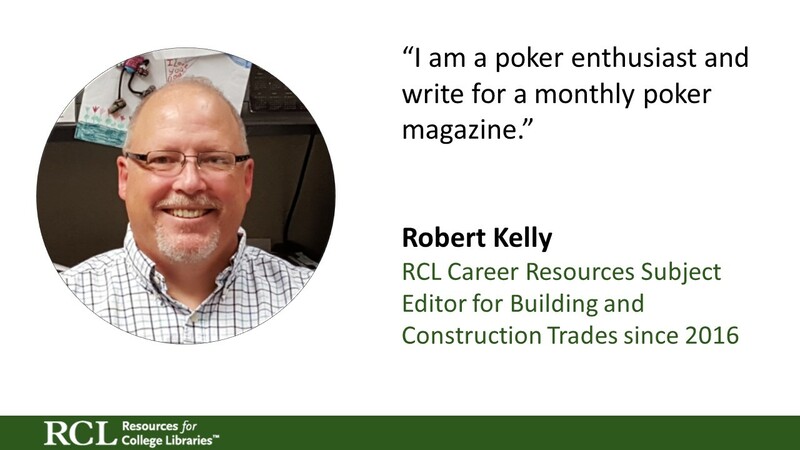 RCL Career Resources covers the two-year community and technical college curriculum. 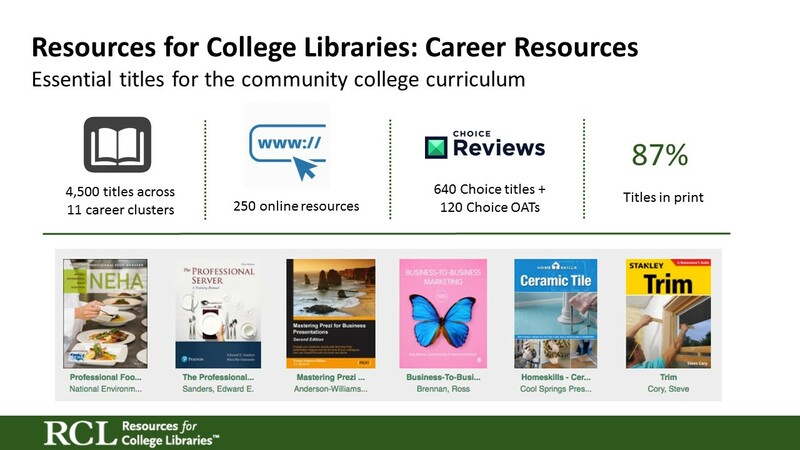 RCL Plus includes access to all RCL + RCL Career Resources content, for those institutions supporting workforce education and liberal arts study. 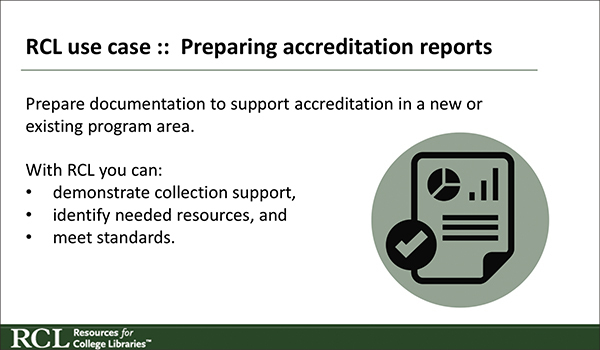 Contact us to get RCL today. 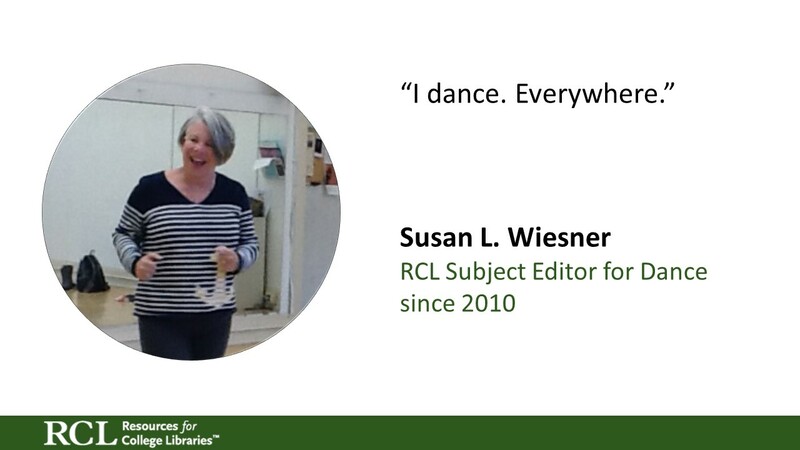 Get to Know RCL. 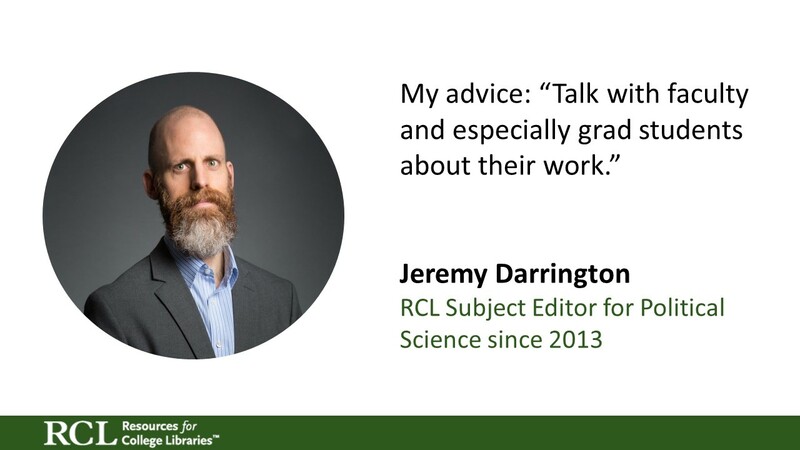 Find out about the educational backgrounds of our RCL subject editors – and how they describe RCL in three words.